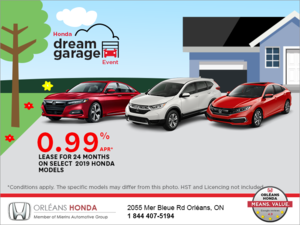 Honda Canada recorded a total of 18,544 units last month, a 10 percent gain over the same period in 2016. 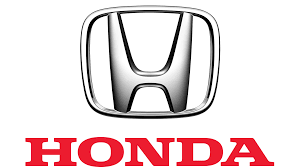 Sales of new Honda vehicles specifically rose 11 percent to 16,843 units sold in July. The new Honda Pilot saw its sales increase by 20 percent in July, but it is not the only Honda SUV that saw its sales increase. In fact, the Honda HR-V also had an excellent month with 1,361 registered units, a gain of 37 percent compared to the same period last year. Finally, the Honda Ridgeline saw its sales increase by 266 percent to reach 319 units! “The trend towards light trucks continued as we saw the Honda HR-V, Pilot and Ridgeline outperform their previous July numbers while one of the newest member of the lineup, the all new Honda Odyssey, recorded its best ever July sales figures since 2002” said, Jean Marc Leclerc, Senior Vice President of Sales and Marketing at Honda Canada Inc.
To learn more about our new 2017 Honda vehicles, contact us today at Orleans Honda!